Tewkesbury cutting tool manufacturer Quickgrind has now announced the opening of its new Technical Centre and training facility. Quickgrind has invested in the new Tech Centre to demonstrate the company’s commitment to UK customers as it pursues its strategy of increasing brand awareness and market presence in the UK. The brand new Tech Centre has a seminar theatre and training room that can accommodate over 30 people. The Gloucestershire Company has appointed a number of technical partners that include OPEN MIND Technologies and CG Tech, the two leading specialists in 5-axis CAM machining strategies, QuickVend vending and tool management solutions and the industry benchmark in machine tool technology, ROMI Machine Tools. As well as having the capacity for over 30 attendees for training courses and seminars, the new facility also offers two meeting rooms and workstations for programming CAM strategies and toolpaths. On the shop-floor, a brand new ROMI D1000 vertical machining centre has been installed for conducting customer trials and demonstrations. By working with the industry leading CAM vendors and having a machine tool brand that is renowned for its performance and rigidity, Quickgrind now has the in-house facility to demonstrate how you can push tooling performance to another level. 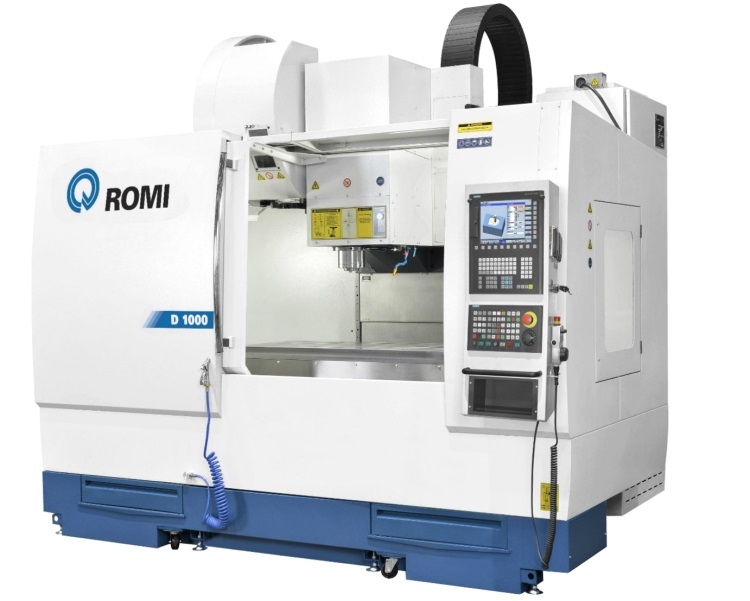 The ROMI D1000 incorporates a 10,000rpm BT40 spindle configuration that is driven by a 22.4kW spindle motor and a FANUC CNC control unit. The ROMI has a 1220 by 560mm table that can accommodate loads up to 1000kg, this gives Quickgrind and its technical partners the opportunity to demonstrate how prestige cutting tools, CAM software and machine tools can collaborate to enhance machining performance for manufacturers. Conveniently located near Birmingham, Quickgrind is on the direct route to the South West and Wales, situated just two minutes away from both the M5 and M50. With an easily accessible location, customers of both Quickgrind and its technical partners are cordially invited to put the cumulative expertise to the test to help manufacturers in their continual drive for production and cost benefits. As well as having the opportunity to work with industry leading specialists in a relaxed, comfortable and friendly environment; visitors can also take a guided tour of the cutting tool production facility to witness first-hand how the benchmark in cutting tool technology embarks on delivering excellence.